Bye bye, stress case! 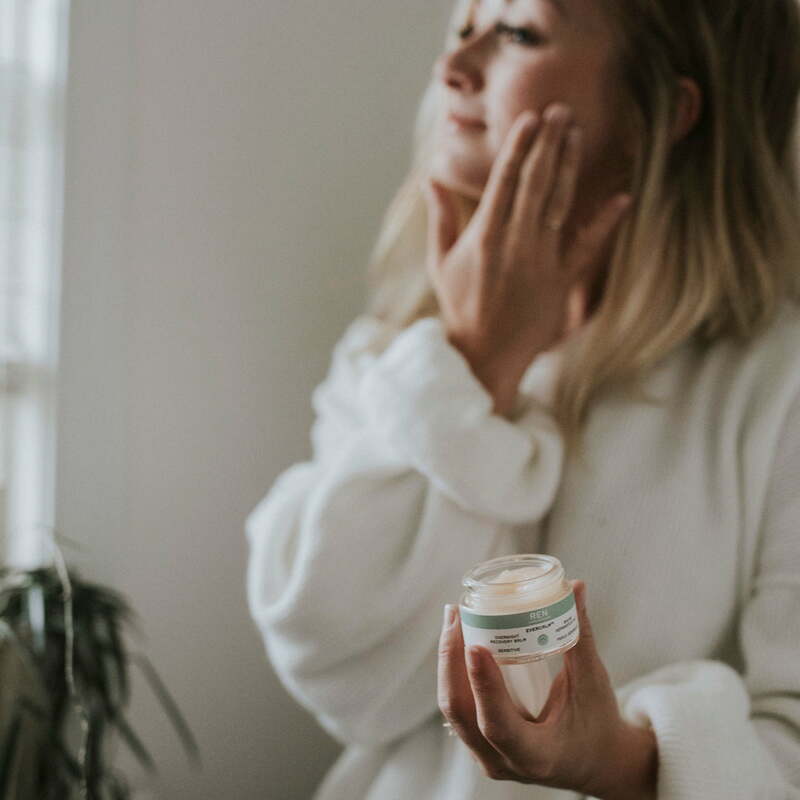 Keep calm and comfort on with a natural face mask powered by a breakthrough blend of white grifolin mushroom extract and bio-actives that hydrates, soothes, and minimizes redness. Evercalm™ Ultra Comforting Rescue Mask is a fast, powerful fix for rosacea, itchiness, and winter dryness—yet gentle enough for even the most sensitive skin—this cruelty-free formula boasts natural ingredients that stop the brain from sending stress signals to the skin. The result is a smoother, softer, more even complexion. Nourishes, soothes, and moisturizes all over. Calms itchy, irritated, or inflamed skin, while minimizing redness. Apply a generous amount to cleansed skin, avoiding the delicate eye area. Leave on for 10-15 minutes before rinsing away with a damp cloth. Or use as an overnight mask and wake up to brighter, healthier-looking skin. Apply three times per week or anytime your skin needs rescuing, followed by your usual routine. White Mushroom Extract (Albarellus Ovinus) helps protect the skin against discomfort. Beta-Glucan from Yeast moisturizes and reduces signs of sensitivity. Arnica Extract soothes sensitive skin. Acts as a free-radical scavenger, too. 87% of women agreed their skin felt calmer after just 30 minutes. Use 3 times a week or anytime your skin is in need of urgent rescue. Apply a generous amount onto clean skin, avoiding the eye area. Leave on for 10-15 minutes. Gently remove any excess with a cool damp cloth or cotton pad. Follow with your usual skincare routine.